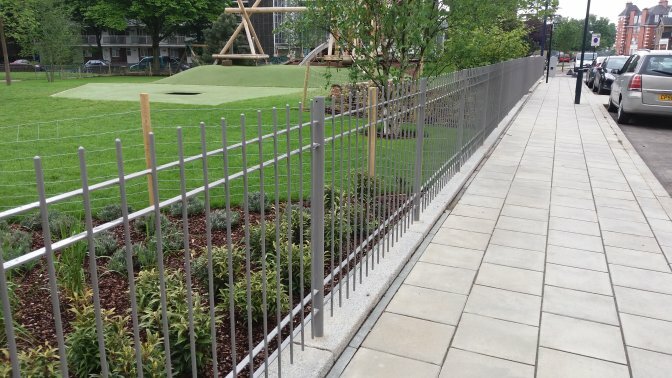 South Kilburn’s brand new urban park was officially opened on 7 May having undergone major transformations that include metal railings manufactured and supplied by Alpha Rail. Woodhouse Park is a key attraction to the regeneration project in South Kilburn. Valued at £475k the new park has a variety of robust playground equipment for users to enjoy, attractive site furniture as well as many trees and plant species. 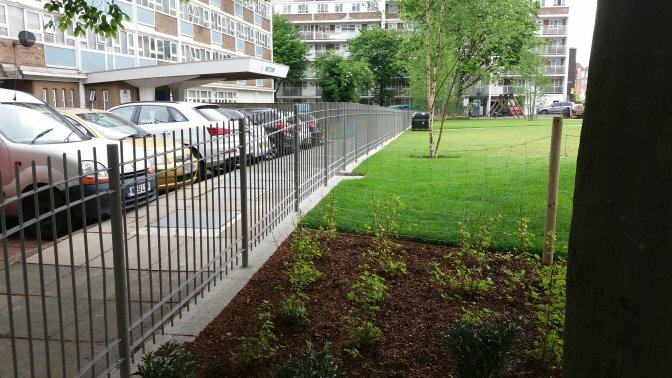 Alpha Rail was appointed by the main contractor Ground Control to manufacture and supply 170 linear metres of 1220mm high vertical bar metal railings featuring 48mm posts. 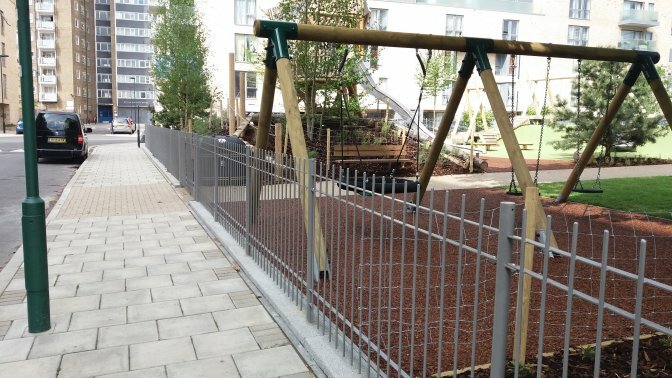 The metal railings were installed around the perimeter of the playground equipment area to create an effective boundary, with mounting posts securely rooted into the ground for additional stability. 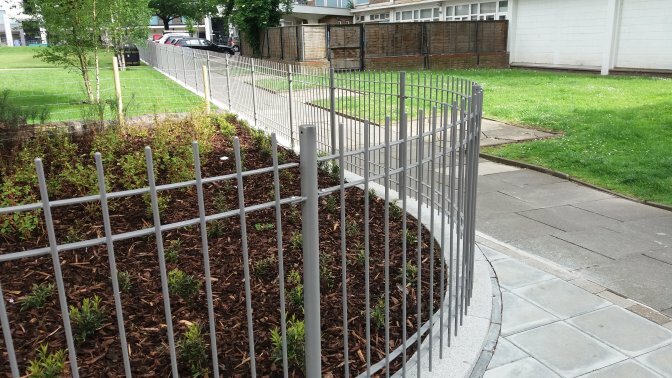 Three single leaf self closing gates and one double leaf gate were also supplied and all metalwork was supplied galvanized and powder coated in grey RAL 9007 to protect it from the elements as well as general wear and tear for many years. The park is located on Albert Road in the London Borough of Brent and offers local and wider communities a welcomed environment that they can enjoy away from the hustle and bustle of everyday life. The on-going maintenance of the park is just as pioneering. The new park will be one of a new generation of parks to fund its operation using an emerging ownership model that is growing in popularity involving “Friends of” community groups. Alpha Rail understands that The South Kilburn Park Trust is now working collaborately with local organisations, businesses and community groups to formalise and facilitate a ‘Friends of Woodhouse Urban Park’ who will take ownership of the new park and be responsible for it future usage and development.